Professional development is an essential aspect of any career. Many professions have minimum standards or requirements of training each year to maintain a license and/or job. 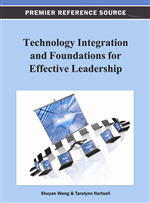 This chapter outlines the necessary components for effective professional development training in terms of technology use, and examines some reasons why certain professional development programs may be ineffective. The chapter also discusses ways to assess the overall efficiency of a professional development program and highlight some outstanding professional development programs/practices in existence. A comparison between professional development practices performed in the United States with other countries around the world is provided to offer an understanding how professional development can vary depending upon culture. Some of the reasons found to prevent teachers from adopting the student-centered approaches for integrating technology are that they face a number of limitations that may stand in their way. Some of these limitations are planning or making time for professional development training. Upon extensively researching the topic of professional development thorough a compilation of scholarly journals and research articles for writing this chapter, one can conclude that time seems to be an enormous factor and a consistent limitation for the implementation of a successful professional development program. Another limitation is making the professional development relevant to the needs of the teacher. Many times teachers attend training when the content is not always applicable to their classroom instructional needs. This can result in negative views towards professional development and opinions that the training is a waste of their valuable time. Teachers also mentioned that upon leaving a professional development session, they would be excited to implement what they had learned in the classroom. But, once they encountered obstacles such as acquiring technology access or troubleshooting defunct technology, they did not have anyone to ask for help. This in turn, leads to frustration and lack of enthusiasm to integrate technology into the classroom, thus negate the purpose of professional development.